Erin McCloud is an enthusiastic, experienced interior designer. She started working with the Mizell family in 2007 as a part-time intern. 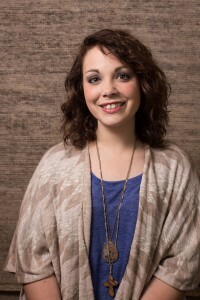 Erin transferred to the position of full-time interior designer after graduating from Valdosta State University in 2009. Her main focus is to let the client’s personality shine through in all of her projects, making sure that every design reflects her client’s goals. She enjoys working with many different clients and considers each new project to be an adventure. In her free time, Erin enjoys spending time with her family and friends. She loves music, art, and travel.